A documentary by Humanitad telling the shocking story of Anand Krishna – the iconic Indonesian spiritual teacher and proponent of religious freedom. Directed by Sacha Stone, the unfolding story charts the persecution of Krishna over recent years, leading up to his recent unlawful seizure and subsequent imprisonment. 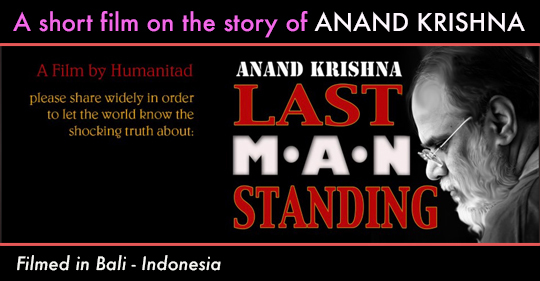 This film is made in the hope that the world will learn the truth of this tragic story – as it continues to unfold – and call for the immediate release of Anand Krishna…..whose courageous journey represents the struggle for the modern Indonesian soul.